The letters “RS” stand on the one hand for the product name “Running Safe”-Reifen and on the other hand for the initials of my name: Rolf Schäfer. I am a Master in Metal Craft (HWK) and supported by my two sons, Mathias, Industry Master in Metal (CCI) and Andreas, Business Student, in the areas of production and marketing activities. My motivation for the establishment of RS-Hundesportgeraete came from the three dogs of our family: Sando, Ronja and Woody. For them, as for all other dogs, we look for creative ideas and solutions. With the founding of this company, we tackle the issues of creating secure devices and hence giving highest priority to the health of dogs in sports. 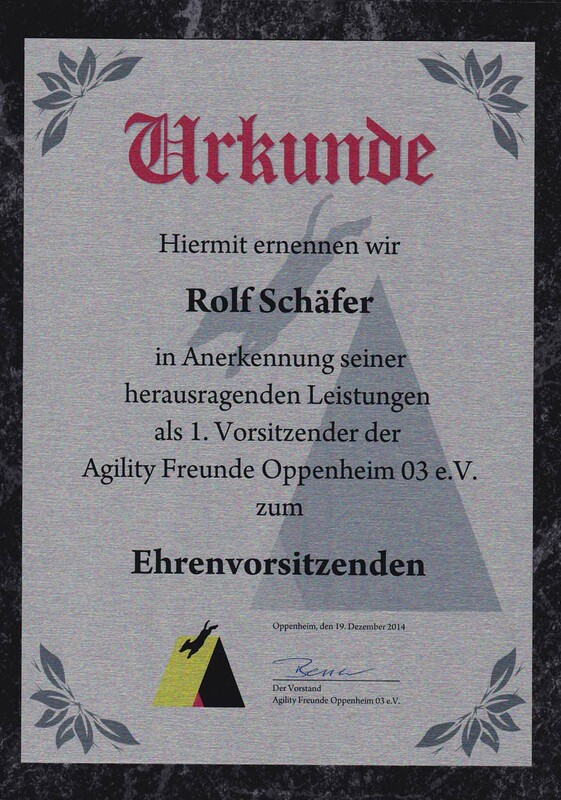 Since 1999 I have been active in the Agility sport and since the founding of the Club “Agility Freunde Oppenheim 03 e.V.” in 2003 until January 2013 its chairman. Besides the obstacle “tunnel” I developed and built the complete Agility parcours for the club by myself. As I am also active in other dog sports, e.g. Obedience, in our team we are generally working on solutions regarding safer sports equipment. 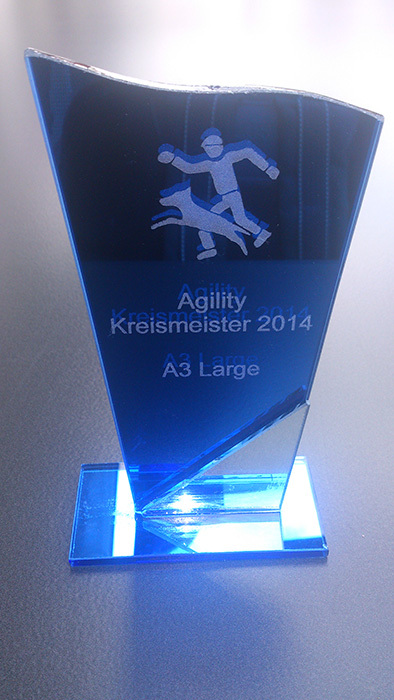 Since 2014: honorary chairman of Agility Freunde Oppenheim 03 eV. The obstacle “tire” is fraught for many Agility runners with anxiety about injuries of the dog. An incident during one of our trainings at our club grounds prompted me to develop a prototype of the Running Safe tire (RS-Tire). First put into practise in our club, it convinced and delighted every member and dog sportier. I got positive feedback from numerous and well-known Agility athletes and professionals. All agreed with the opinion that an acquisition for each agility club should not be jeopardized/questioned, because this is an investment in the sustainability of dog sports. Due to high levels of interest and related demand, we decided in 2010 to a found a company to provide this new type of tire construction and therefore making it available to everyone. The “Running Safe-Reifen” is not the first product that provides safety and health for the dogs, but it is the first product with which the newly founded company goes to market. Other products that promote the safety of the dog sport, have already been designed and in collaboration with Mathias we are currently planning and testing new designs and constructions.